So the first 3 topics for my Lola’s Ramblings post during Novemver Sci-Fi month were easily found. Last week I talked about my top ten sci-fi books and the first week of November I talked about my relationship with sci-fi. And for next week I am talking about my likes and dislikes about dystopia books. But for this week I just couldn’t come up with a good topic, as I am relatively new to the sci-fi genre the topics didn’t come easily and I felt like I exhausted all my inspiration for sci-fi themed topics already. So I went to twitter and vented my frustrations about coming up with a topic. Then the person behind the sci-fi month twitter account replied to my tweet and came up with some awesome ideas. one of those was (least) favourite genres and it seemed like a nice idea to combine both my favourite genres and my not-so-favourite genres in one post. Contemporary Romance. While as a kid I loved this genre, I took a long break were I only read fantasy books. Once I picked up a contemporary romance book again (Pushing the Limits by Katie McGarry), I was sold again to this genre. Eve since then I’ve been reading a lot of contemporary romances. I love romance no matter in which setting, but contemporary romances usualy go a bit further and give more focus on daily life, characters and relationships. All things I love and thus it’s no wonder I love this genre. Fantasy. As long as I can remember I’ve been a big fan of fantasy, whether it’s urban fantasy, paranormal romance or anything else fantasy or pararnomal related. The only sub genre I am not a big fan of is high fantasy, I usually like a bit more focus on the characters than these book usually have. I just love escaping in a fantasy world and good world building can really make a fantasy book for me. Sci-fi. While I am still relatively new to the sci-fi genre, I’ve been reading it’s subgenres before I even realized they were subgenres. Once I picked up The Hunger Games I was hooked on the dystopia genre and I’ve even read some steampunk books and sci-fi books that I enjoyed before I admitted I liked sci-fi books. Just like with fantasy I love the escape this genre offers and how it can transport me to an entirely different world. Also I lvoe the science part in science fiction and the realization that one dya this could be reality. Dystopia or post-apocalyptic books. I’ll talk more about likes and dislikes concerning dystopia next week, but I just had to add it here as well. One of the things I love about dystopia books is how it can be the real world and still feel like a diferent world thanks to all the changes. Which also opens up the necessity for world building. Have I ever told you how much I love world building? I really should write a post about that once. Werewolves or Shapeshifters. 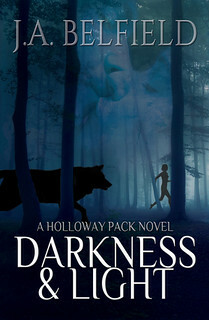 When it comes to fantasy sub genres, werewolf books a shifter books are one of the subgenres I have a soft spot for. There is just something so cool about being able to change into an animal and experiencing the world in a totally different way and all the animal instincts and powers that come with it. While for books that fall into one of these genres it’s just more likely I enjoy them. There are still books within these genres that I don’t enjoy. It’s more like my general preferences lie in these genres. Time Travel. Time travel is one of the few sci-fi sub genres were I stay far far away from. While I might give a book a try because it sounds interesting I just can’t get to terms with the concept of time travel and that concept will be something I wrestly with the whole book. Simple stated I don’t believe in time travel and no explanation makes sense enough. The best time travel books for me, just skip over the issue entirely so it’s easier for me to ignore that nagging thought in the back of the mind that screams THIS DOESN’T MAKE SENSE! Basically the more explantion there is, the more holes I can poke in it. So the best time travel books are those that give no explanation at all, which goes against my love for world building and having things get explained. Fairytale Retellings. When I was a child I enjoyed listening to fairytales, okay I basically enjoyed everything that had a story. But Fairytale Retellings just never have been my genre. I love originality and taking a fairytale and retelling it, just doesn’t mesh with the idea of originality. Now I know that fairytale retellings are often very different than the fairytale they are based on, but the genre just leaves a bad taste into my mouth and I rather stay away from this genre then try to give this a chance. Although I plan to pick up Cinder once as everyone seem to love that, who knows maybe it will change my opinion or maybe not. Angels and Demons. While I love fantasy, angels and demons are one supernatural creature were I tend to stay away from. I am not a religious person and I generally don’t like the concept of them. Also the idea that angels are good and demons are evil, just rubs me wrong as I believe in shades of grey. 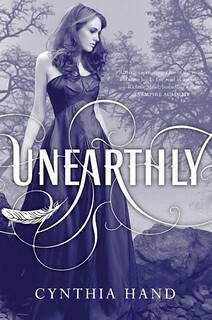 Ofcourse there are always exceptions, for example I loved the Unearthly series by Cynthia Hand, which is an angel series. And Richelle Mead her Georgina Kincaid series, which deals with demons. Zombies. Blegh, zombies are gross and scary creatures and I am just grossed out thinking about them. I just don’t see the appeal of reading about them. And books were the main character is actually a zombie, it just sounds weird and gross thinking about that. I mean mindless things that used to be people and are out for your brains? Uhm no thanks. It’s more an aversive feeling I have for this genre as I don’t remember actually reading a zombie book. Alternative dimensions or past lives. For me the reason to avoid this books are akin to why I avoid time travel books. Books about alternate dimensions or past lives and other topics that deal with time and weird things like dimensions just weird me out and my logical mind tries to make sense of it and draws a blank. No matter which explanation is given in the book, I am not buying it and I can’t convince my mind to ignore it and just enjoy the book. So while I generally avoid these genres I still can be convinced to pick up a book when they appeal to me. Okay so if you know a book in one of these genres that you think I should give a try, please list your recommendations in the commments! What are your favourite genres? And which genres do you tend to stay away from? Any recommendations for the genres I listed here? You have very good taste (namely, the same as mine lol !). I’m just a little wary when it comes to contemporary romances, I hate drama and unfortunately, there seems to be a lot of that in this genre. I only watch zombies in TV-shows (Walking dead) and that’s it. I tried reading Pride and prejudice and zombies and gave up. Contemporary Romances can really be a hit or miss. I am not a fan of all the drama either, especially the obligatory break-up scenes, I hate those! I just can’t stand the thought of zombies, they are so gross! I have never watched a mvoie with them either. I think ‘adult’ contemporary romances tend to have less drama than New Adult. And I’m kind of sick of drama myself. I do love a good contemporary romance novel, though. They just make me feel all happy and warm when they’re well done. It depends a bit on the book, I have read a few adult contemporaries with drama as well, but indeed generally the new adult ones have more drama. Good contemporary romances also make me feel warm and happy, there’s just somethign about a good romance that makes me happy! I am veeeeery picky when it comes to contemporary romance. There are a few contemporary titles that everyone LOOOOVED but I just didn’t because I don’t like love triangles, dramavalanches, and other common cliches in contemp titles. I usually can enjoy contemporary romances even when they include clichés, probably because I am a fan of romance in general. Once in a while I come across a contemporary romance that just blopws me away with it’s originality. I realize I almost never give contemporary romances a 5 star rating, usually they are good, but only very few reach are really good and deserve a 5 star rating. Probably my favorite genres are fantasy and sci-fi – I love escapist reads and those are the best to me! I like a few genres that you don’t care for, but it was really interesting to read your thoughts on why you like or dislike certain genres. I think I would like to do a similar post to this since it’s good to explore what works for you and why. I agree with your assessment of zombie stories and angels and demons – they don’t interest me either! I would love to see you do a similar post, I thought it was really fun to explain why and what I like about certain genres. Normally I don’t really talk about genres or why I do or don’t like them. And it’s always fun to see how other readers their tastes differ and why. I kinda like a little of it all 😀 Contemporary, Historical and Paranormal (of all types) fill my normal reading. Time travel I’ve found some I really love– Karen Marie Monings– so many of them are a total train wreck in trying to explain it and make it make sense. Whew! I’m real careful on those. anna (herding cats & burning soup) recently posted…Designed for Love by Kelsey Browning Excerpt Tour– Day 6! I want to try and read a few more historicals, maybe next year! I have only read Karen Marie Moning her Fever series and am a bit hesistant to try out her other series. Time travel is such a tricky thing to explain. 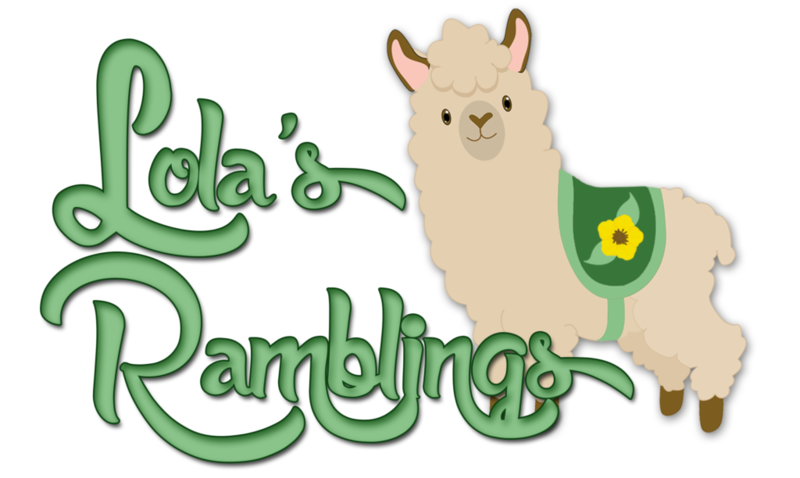 anna (herding cats & burning soup) recently posted…SIGN UP– New To You 2015 Reading Challenge! I agree with Iza, you have good taste 😉 I agree with most of what you said, apart from the fact that I actually love time travel novels! They have to be very well done, and there shouldn’t be a way for characters/people to show up twice in the same time – that would just cause too much trouble *grins* I’m very good at suspending disbelief when it comes to good time travel stories, though. Word building is always really important to me as well, and it’s even more important in dystipias / post apocalyptic stories. If I can’t figure out where the characters are, I just don’t understand anything at all! Nothing at all (or flimsy) about politics, where on Earth they are and I just can’t do it. I have no idea why time travel is OK with me, but bad world building just won’t do. Oh, and since you asked for recommendations… of course I just couldn’t help myself! A time travel story that was really good was Backward Glass by David Lomax. In both your favourite genres and not so favourite genres pile, I managed to find genres that I absolutely loved! I do love my dystopia and fantasy, and have been enjoying contemporary romance as of late, but it’s not my favourite genre. In your not so favourite though, I LOVE zombies, alternate dimensions and time travel! I can see how it’s not for everyone though. Plus I LOVE the Georgina Kincaid series, one of my favourite UF series ever. So glad to see the appreciation about! I always find it interesting to see how much peopel differ in which genres they like and don’t. It took me some tiem to get into contemporary romances, but once I picked them up again I fell in love with the genre. I prefer not to read too many contemporary romances after eachother as they can get a bit predictable and repetitive. Zombies, alternate dimensions and time travel just don’t work for, although I can see why others love them. Chyna @ Lite-Rate-Ture recently posted…These are gorgeous! Add them to your shelves! Retellings just aren’t my thing, not sure why exactly. I am willing to give the genre a try once. I usually pick up a MG book if I want that feeling of my childhood. I love contemporary romance too as they can be light, easy, feel-good reads. Just perfect to relax with after a long day. When it comes to Sci Fi though I’m the opposite to you I love time travel and alternative worlds, I love the possibility of them and the intrigue of how making small changes can alter everything. I don’t have much time for zombies, angels or demons either. Or werewolves (sorry!). I love dystopia as long as they are original. I’m happy enough to try most genres though as I’ve found that I have enjoyed books that I thought beforehand might not work for me. I have only gotten in to Fantasy and Sci Fi lately but I’m finding that I really enjoy them. I like mixing up heavier books with contemporary romances as they are usualy lighter. How fun to hear you are the opposite when it comes to sci-fi, give mt space travel and futuristic world, but not aleternative dimensiosn or time travel. Cinder is certainly on my to-rea dlist, I figured I should give that book a try so maybe it can convince me to liek fairytale retellings. Just like you I am open to most genres as long as the blurb appeals to me. But if the book falls into one of my favourite genres that’s certainly a plus and icnreases the chance I like it or decide to buy it. I love fantasy – that’s probably my favorite genre, though I love a lot of sci-fi as well. If I read contemporary, it pretty much has to be contemporary romance or I’m bored. Have you read much magical realism like Sarah Addison Allen? It’s this great blend of contemporary romance and really subtle fantasy. Zombies, though, are totally gross. That’s a genre I pretty much avoid. I am also a big fantasy fan. I prefer to read books with some romance in them, although it isn’t a must. I don’t think I’ve read a contemporary that wasn’t contemporary romance. I don’t think I ever heard of Sarah Addison Allen, will check out her books on goodreads to see if it’s somethign I would like to read. I can understand what you mean and I think fairytale retellings can be done well, but for some reason the genre just doesn’t appeal to me. I don’t like gore and too much violence and that’s usually what’s involved in zombie books, so I stay far away from them. And they are gross indeed!